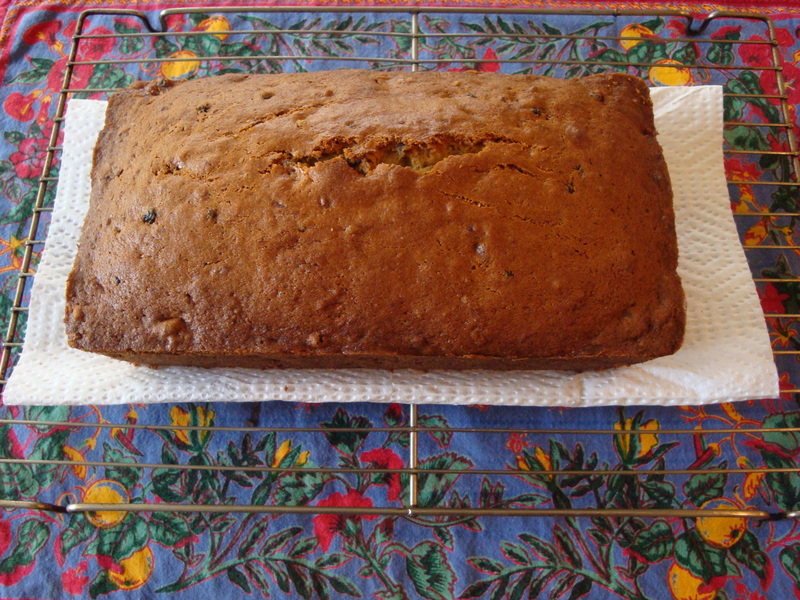 I love banana bread and have tried many recipes over the years. This one wins in my book! The buttermilk creates a slight tanginess and the currants and pecans are a great match. It’s easy, using the standard butter cake method, and takes minimal time to put together. Enjoy plain or toasted. My Mom/aka Granny would recommend slathering it with butter. Preheat oven to 350 degrees. 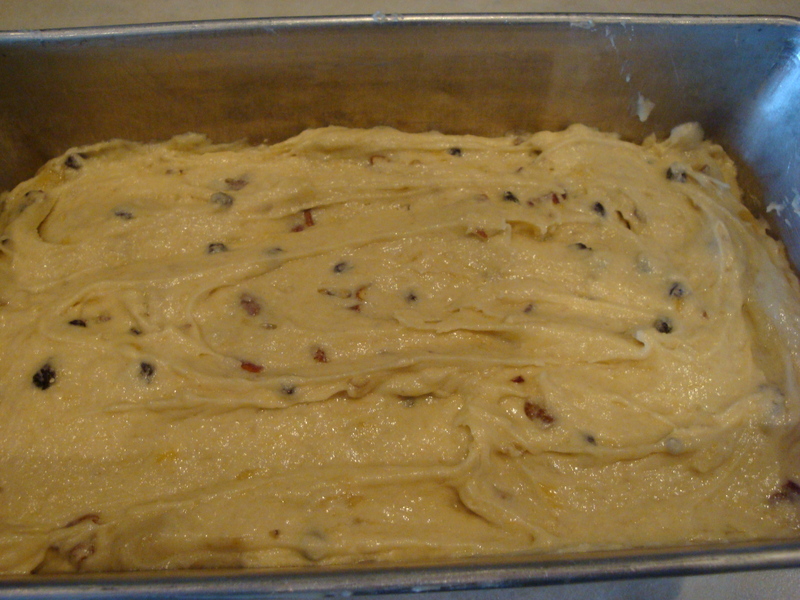 Butter an 8×4 or 9×5 bread pan (I always use 9×5) or 2 mini-loaf pans. NOTES ON INGREDIENTS: The original recipe called for walnuts and raisins, and I’ve used dried cranberries/walnuts and chocolate chips/pecans. All good, but the currants/pecans combo is my favorite. If you don’t have buttermilk on hand, you can use sour cream, plain yogurt or milk with 1/2 tsp white vinegar. Don’t worry if your mashed bananas don’t add up to 1 cup. It’s moister and more banana-y with a full cup, but I’ve used anywhere from 1/2 to 1 cup mashed bananas depending on how many overripe ones I have on hand. Sift or whisk the dry ingredients together and set aside. 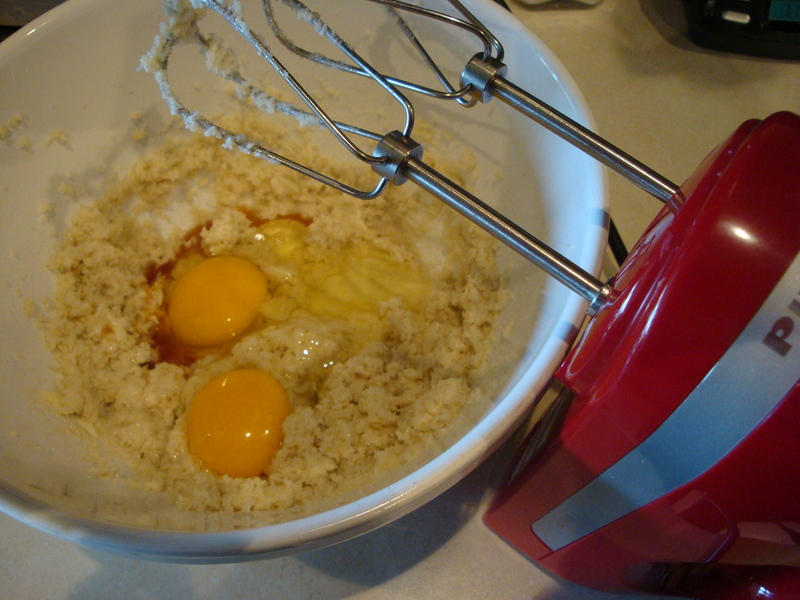 Cream the butter, sugar and eggs in that order and beat on high speed till fluffy. Add the vanilla if you are using. 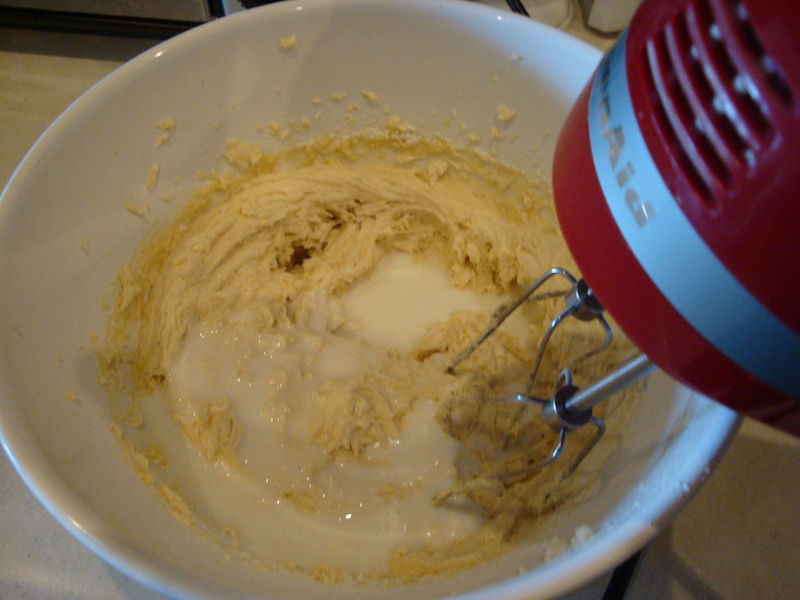 Add ½ of the dry ingredients to the creamed mixture and beat till blended. Add the buttermilk and blend. Add the remaining dry ingredients and beat on low just till blended. 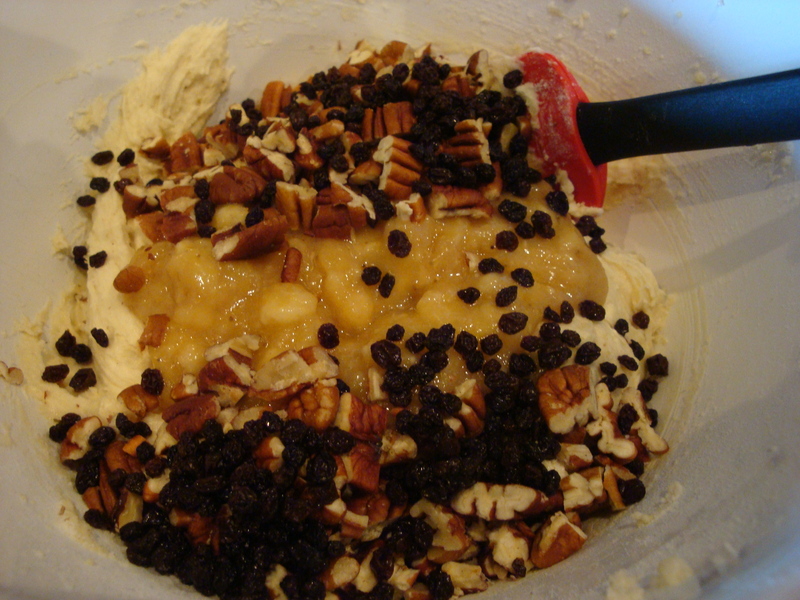 Fold in the bananas, currants and pecans. Turn the batter into the buttered pan or pans. Bake at 350 for 1 hour – check after 50 minutes if using the 9×5 pan. Let rest in the pan for 10 minutes and then turn out onto a rack covered with paper towel. Cool before serving, although it’s pretty good slightly warm. You don’t want it too warm or it will fall apart when you attempt to slice it. Oh wow… I’m liking this recipe. Especially as I have my own banana trees. I made Banana’s Foster a couple weeks ago. It was probably a bit sweeter (rum in it)…but very tasty with a cup of tea/coffee. 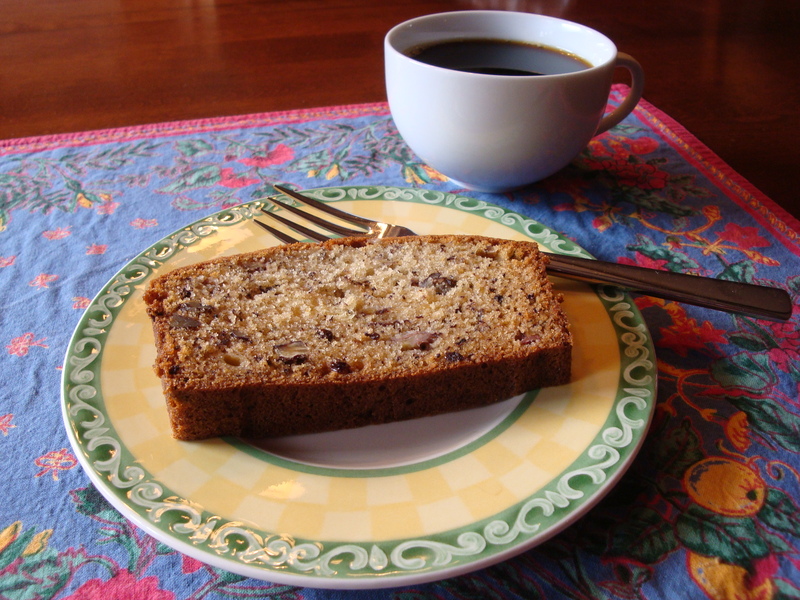 Let us know what you think of the banana bread recipe.